In 1997, the island of Manhattan has been turned into the world's largest maximum security prison, a place where the worst of humanity is sent to rot. The U.S. Government finds itself in a major crisis when the president's plane crash lands in New York only days before a vital peace summit between major warring nations is to take place. The president survives the crash, but is taken hostage by the denizens of Manhattan and held for ransom. Only war hero turned felon Snake Plissken can save the day, and he is offered a simple deal for his work: save the president and live, fail to save him and die. The one-eyed bandit sets to work, cutting a path of destruction to the president that has to be seen to be believed. Kurt Russell creates the indelible character of Snake Plissken as no other actor could have. Wisecracking and cool under the very worst of pressures, Snake is the ultimate bad good guy. Download Escape From New York in Digital HD from the iTunes store. Escape From New York images are © MGM Studios. All Rights Reserved. Back in 1981, a low-budget movie that starred Kurt Russell and was directed by John Carpenter (Halloween) entered the movie scene. It was entitled Escape from New York. Escape from New York takes place in the future (our past now) in the year 1998. New York has been turned into a maximum-security prison; and once you go in, there is no way out. However, by circumstances out of the President's control, his plane has gone down into New York City, and the residents there will not let anyone come in and take him out. However, just-in-time their newest detainee for the island, Snake Plissken (Kurt Russell) is at the processing center and just happens to be the world's best undercover agent. They offer him a pardon from being jailed in New York for the rest of his life if he recovers the President in time for the Hartford summit. 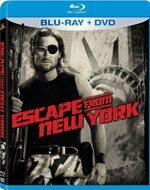 Along the way, Snake Plissken meets various types of inhabitants of the New York City prison and must deal with all the elements if he and the President will be able to escape from New York. John Carpenter wrote the screenplay for Escape from New York back in 1976, after the Watergate Scandal. However, no one would give him the money to create his vision; but after the success of the original Halloween in 1978, he was finally able to make his dream come true and put Snake Plissken on celluloid. What truly makes this movie unique is how much Carpenter was able to accomplish with such a small budget, and also make very bold predications on how the future would be if we proceed the way we are going. The Blu-ray release of Escape from New York gives us a very clean looking AVC video transfer that will have fans drooling how well it looks on the screen as well as the DTS-HD Master Audio 5.1 surround track pops immediately when the movie starts. However, the one thing it truly lacks is any type of special features (aside from a DVD). 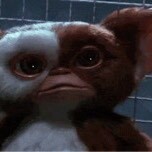 The Blu-ray does not contain the "lost opening scene" of the film, nor any commentaries or even a trailer. 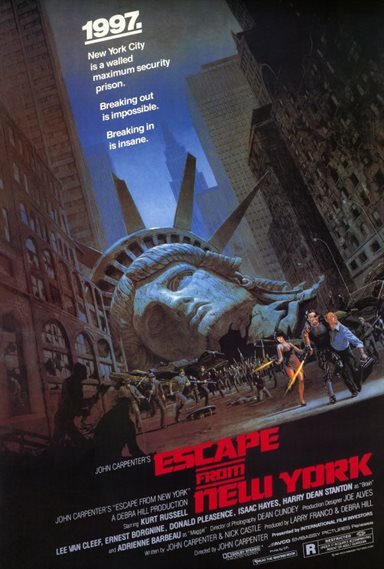 While considered an amazing film by critics, Escape from New York was not a blockbuster success. On the big screen, Escape from New York attracted a large cult following on VHS and still does today. With the release of Escape from New York on Blu-ray, you can now get your Plissken-fix in the best quality possible. Been about 30 years since I watched.